There is three type of pool cleaning systems - Manual / Automatic / Robotic. 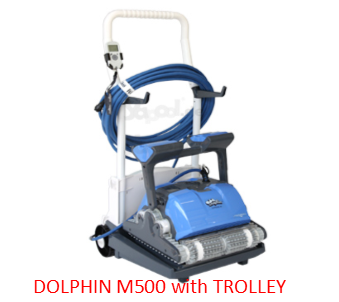 Manual cleaning equipment consists of a pole which different types of accessories fit to the end . 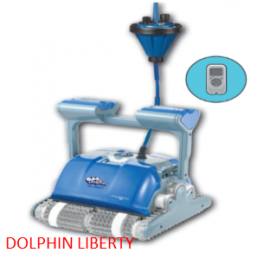 These include different types of brushes, scoops, rakes and shovels as well as vacuum heads either roller vac heads or brush vac heads.  The vacuum heads connect to a vacuum plate in the skimmer via a hose. 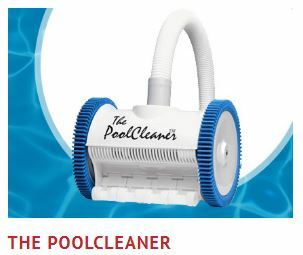 Automatic cleaners also connect to the skimmer via hose to a vacuum plate and automatically crawl or pulse around the pool floor and walls. Because the cleaner is connected to the skimmer the debris is captured by the media filter. 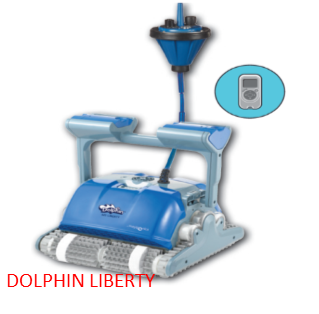 The advantages of an automatic cleaner is they clean the pool for you and are less expensive than Robotic cleaners. 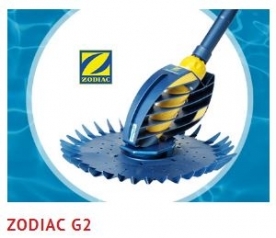 The disadvantage is they are cumbersome to set up and they use the pools filtration system which reduces it's efficiency and while connected there is also no skimming action clearing the debris of the water surface. Robotic cleaners are the most expensive type of cleaner but as they are separately powered they run independently from the pools filtration system leaving the system at the efficiency levels as per designs of the pool builders. The skimmers also have no obstruction so can operate normally and clear debris from the water surface. 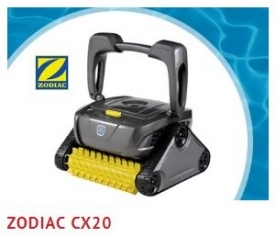 The Zodiac Robotic Pool Cleaner is an entry level cleaner which performs a great job of vacuuming pool with easy to clean filter basket. It carries out a 2 hour clean and then stops until instructed to begin another cycle. 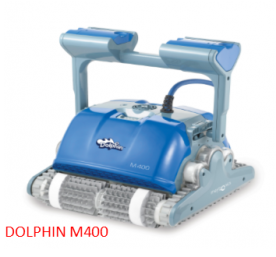 The Dolphin M400 operates like the Zodiac but is the next level is in cleaning with its active brush.